I just got this phone new yesterday where it was set up in back behind closed doors after I paid for it. 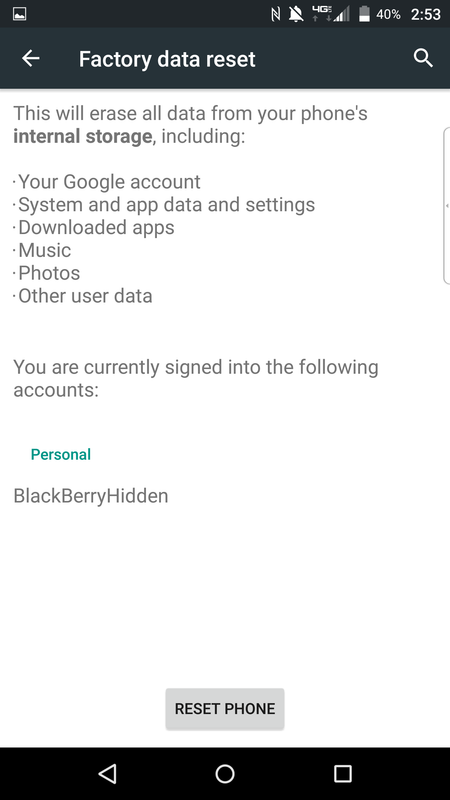 I'm confused why after I go into Settings>Accounts: then delete the default Sim card account, it still says I'm signed into a BlackBerryHidden account under: Backup and reset>factory data reset: "You are currently signed into the following accounts: Personal BlackBerryHidden"
?? 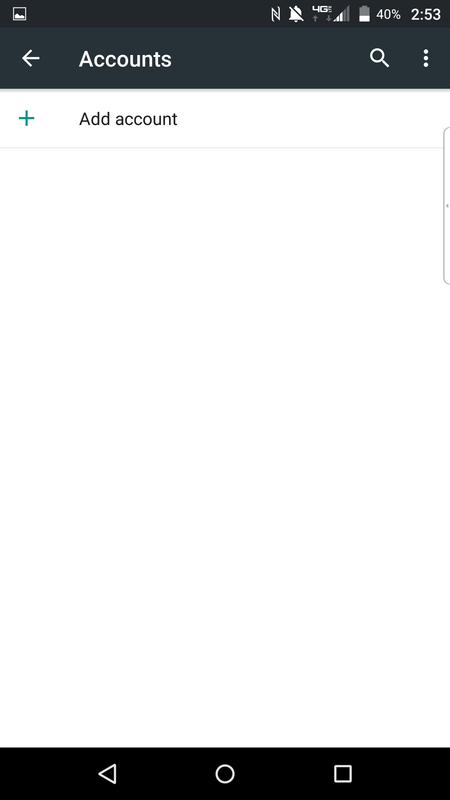 So even the my account page is empty after I deleted the one Sim card account, I'm still signed into a BlackBerryHidden account?? I have no idea, but it might be helpful if you told what model of phone and which carrier - this could be to do with the carrier. What do you mean set up in the back behind closed doors? Was this a carrier or some private sale? Either way, why would you allow anyone to set it up behind closed doors especially after you pay for it? If it was a carrier i would go back and tell them to either remove the account of give a new a device that you set up yourself. The sales guy took it to the back out of sight saying it will be faster to set up. I had a long day, wasnt thinking and the distrsction of a 2 year old with me. Anyway, just wondering if this was normal to see zero accounts listed however then have a hidden account? I'm guessing no. Where are you seeing this on your device? I will check mine and let you know. Yeah ... this doesn't sound legit at all. Can you please share a screenshot with everyone so we can also check what is on our own devices and allow some of resident experts to provide you the appropriate guidance? Let's hope everything is ok.
Also. I have like 3 phone apps and.. When he gave me my phone it had been signed into a Verizon app and had all of these vrzn apps installed. I've tried to do a factory reset and delete my Sim account everytime but nothing changes. He was acting a little weird in the end. This phone was suppose to help me in many ways, please help me. you could do a complete factory reset and it would get rid of all the crap that ***** did. You would then set it up good as new. But seriously what kind of shady place did you buy this from anyway. The back room of a bar or something? I've never downloaded anything and I have 3 phone apps and a 4th called dialer. Is that unnormal too? I'm in a weird spot in life and really need to figure this out in case I need to contact legal help. This is not normal at all. To be sure i checked and only my own google accounts were in there. If i was you i would return the device and demand a replacement that is in the box to set up yourself. I don't have a Priv and know what is normal, but definitely agree to the advice given here. If you can, the first option is to return it and get a brand new, SEALED in the box, BlackBerry Priv and you set it up yourself (or get a trusted friend). If that is not available to you, I would do a complete factory reset and set it up all over again (or get your trusted friend).